I am co-lead on a project on the shape and meaning of the eyebrow in contemporary culture. It is an interdisciplinary collaborative project involving academics, arts organisations, and local participants. My research focus is on micro-gestures and micro-expressions in screen performances. We held an event at FACT Liverpool from 25th-28th April 2018 and a follow up symposium on the 2nd of October 2018. Our latest event took place as part of the Homotopia Festival in the Open Eye Gallery on the 27th of November 2018. Follow us on Twitter: @Brews&Brows and Instagram @brewsnbrows and read our site for updates and news. I am currently finalising a project on ideas of taste and commemoration in the Mexican context. This continues the concept of violence in cinema and expands it to other cultural fields and practices. I have a contract with SUNY Press for an upcoming monograph, Tastemakers and Tastemaking: Mexico and Curated Screen Violence. Since February 2015, Revolution and Rebellion in Mexican Film is out in paperback and ebook. 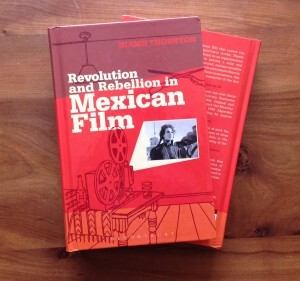 My monograph Revolution and Rebellion in Mexican Film has been published by Bloomsbury. This is the culmination of two funded research trips, the first by the University of Ulster and the second by the British Academy. This monograph examines the significance of the representation of conflict in Mexico with a particular focus on film from the Golden Age of the 1930s and 1940s to the present day. This is the first monograph to closely examine the war story in Mexican film. “Thornton presents a fresh look at the history of cinema in Mexico that depicts the Revolution of 1910, the student movement of 1968, and the Zapatista rebellion of 1994 to the present. 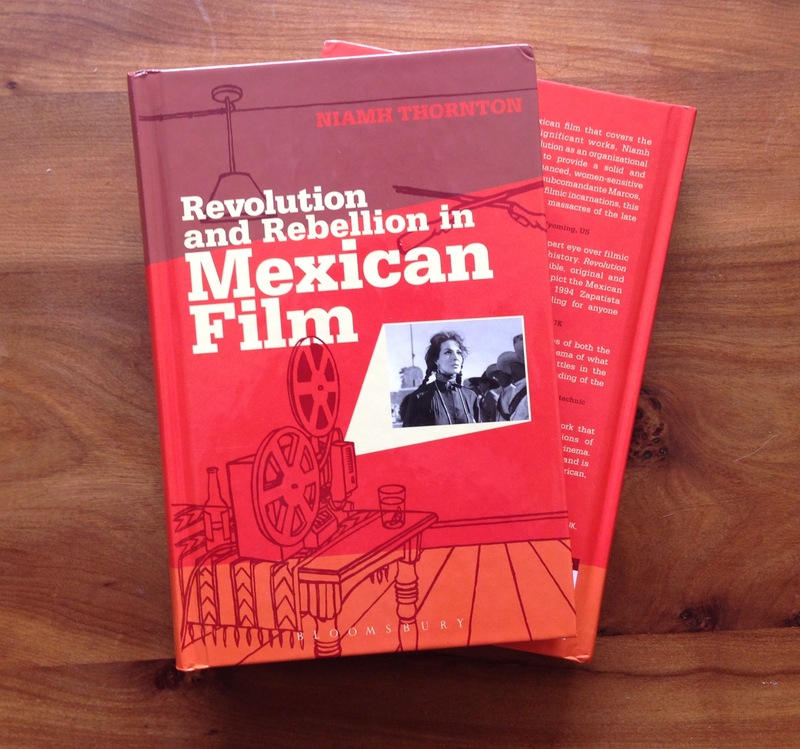 Thornton’s book is not only a history, but a well-thought out criticism of the history of cinema in Mexico and of the selected films reviewed in this volume. This book is for the general reader of Mexican history, history of cinema, and is recommended for classroom use,” Colonial Latin Historical Review. 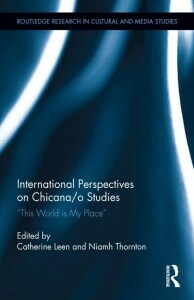 Catherine Leen from NUI, Maynooth and I have co-edited a volume, bringing together international scholars from the US, Mexico, Russia, Spain, UK and Ireland to re-examine what Chicano studies mean in a transnational context. The book is entitled International Perspectives on Chicana/o Studies:This World is My Place and my contribution is a chapter entitled “My Super Sweet Fifteen: the Internationalisation of Quinceañeras in Literature and Film”. “This exciting and timely anthology provides great insight into the growing international appeal of Chicana/o Studies, a field previously believed to be of merely regional and local interest within the United States,” Guisela Latorre, The Ohio State University, USA. “Leen and Thornton’s volume represents a major new contribution to Chicano/a Studies in English. While offering a clear and focused investigation of Chicano identities and culture, it is sensitive to the contingent, evolving and multifaceted nature of those identities and their cultural manifestations. Unusually international in approach and with a wide range of excellent contributors, the book covers areas as diverse as literature, art, film, institutional programmes, everyday life practices and wider matters of cultural identity and identification. It is essential reading for all those interested in the field,” Philip Swanson, The University of Sheffield, UK.